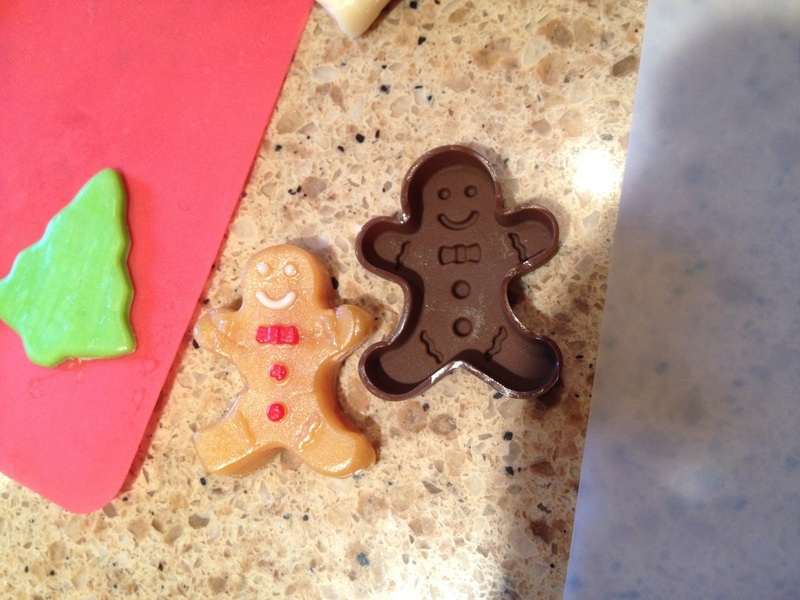 Colored tootsie rolls, also known as flavor rolls, are the modeling clay of the gingerbread world. 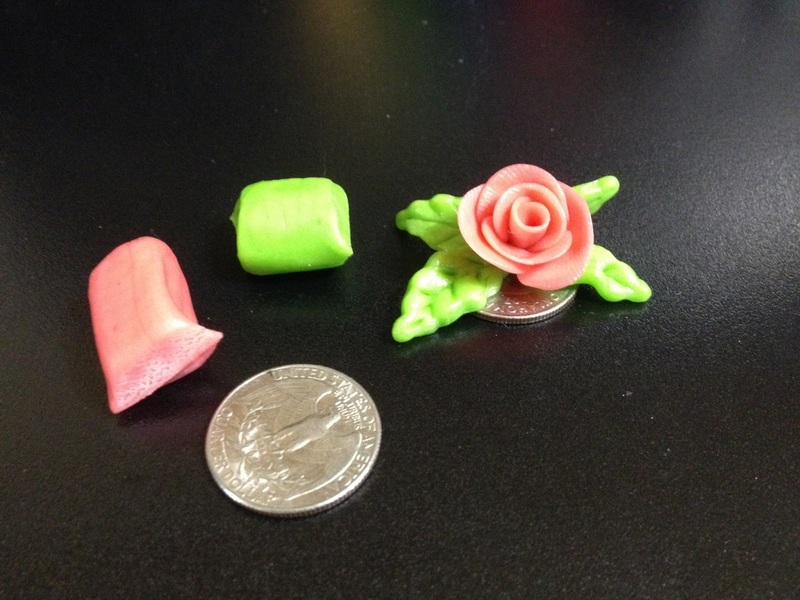 Cut a tootsie roll into 6 pieces to make the petals of the rose, and small pieces for the leaves. Indentations make softly with the edge of a knife will make the veins of the leaves. Spice drops for the smaller version, and Gum drops for the larger version. Two purple, one white, and one orange are needed. Slice the outside of one purple into three pieces, and wrap them around the white. Slice the bottom off of the second purple, and add it to the top of the white. Cut a small piece of the orange, and attach it to the front of the purple to finish. Made from colored tootise rolls, white making up the body, orange for the nose, and traditional brown for the other parts. 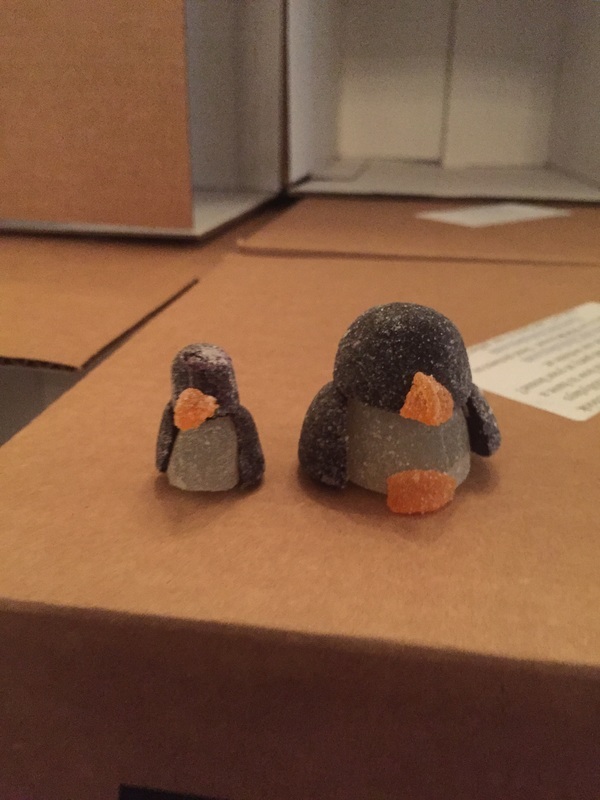 A modified ice cube tray makes a great mold for carmels and colored tootsie rolls! Need a corner filled up, or need to spruce up a sleigh? 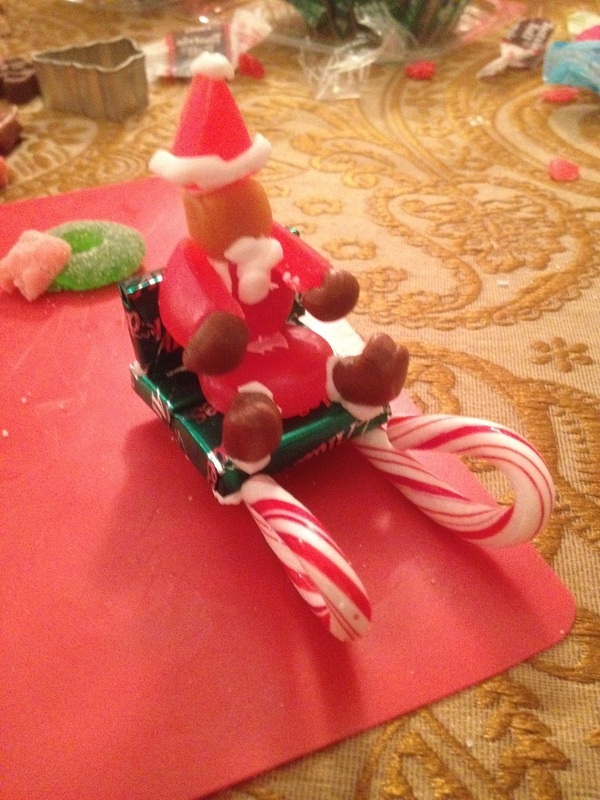 Two candy canes and three andie's candies make up the body of the sleigh. Santa is made up of red gummy coins, a little carmel for the head, and tootsie roll for his boots and gloves. All of the extras are just frosting! 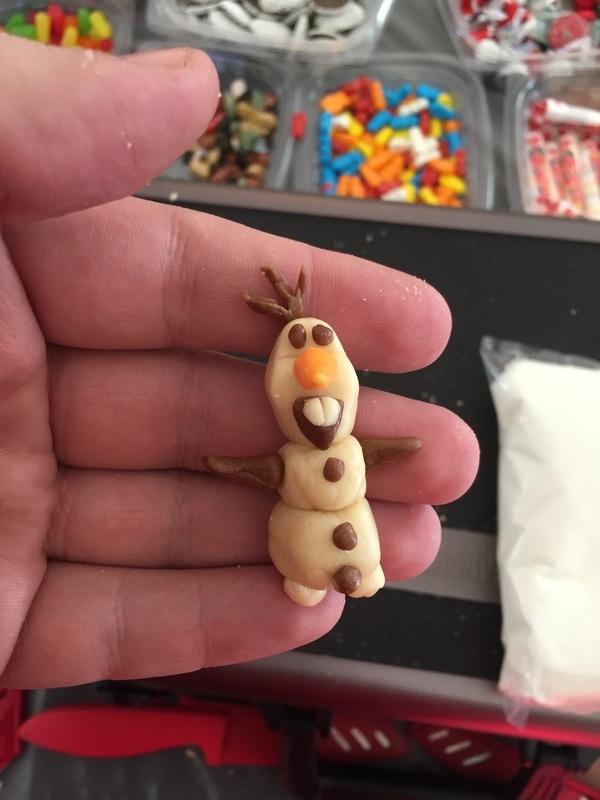 ​Don't want to make Santa? Just put a red hershey's kiss on the seat instead, as Santa's bag of toys. 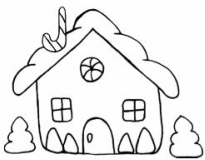 Some people love to turn their gingerbread houses into summer vacation houses, and what's a better addition than Santa taking a well deserved break! 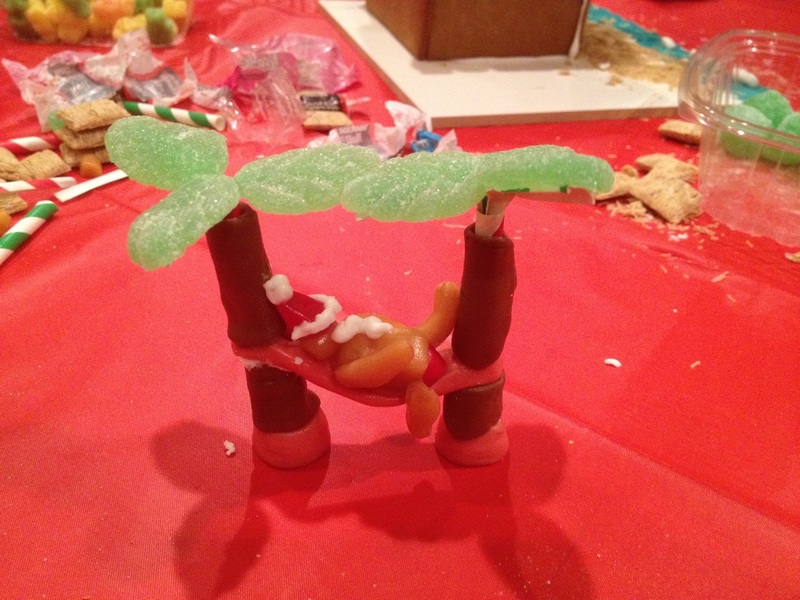 The palm trees are made of straws with tootsie rolls wrapped around them, and topped off with slices of green leaves. Santa is made of carmel, with red tootsie roll clothing, and forsting accents. The hammock is also red tootise roll.